E.W. Bullinger's classic work, Number in Scripture, is an invaluable guide to the study of Bible Numerics. 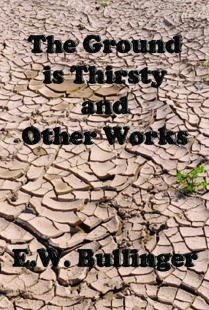 Bullinger's two-fold approach to the subject first examines the supernatural design of the Bible. 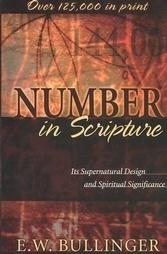 He notes the amazing patterns of numbers and numerical features of the Scriptures that give evidence of their Designer. The second section highlights the spiritual significance and symbolic connotations of numbers which are repeated in different contexts throughout the Bible. An example is the number seven or the use of "666" in the book of Revelation. This study will provide a treasure trove of insights and practical applications for pastors, teachers, and Bible students. These words, written November, 1899 by E. W. Bullinger in his unparalleled research volume, Figures of Speech Used in the Bible, succinctly describe the priceless rewards discovered by the workman of God’s Word. Over a century later, seekers of truth continue to enjoy the great spoils extracted by one of history’s greatest workmen of the Word. The legacy of Ethelbert William Bullinger’s life of Biblical scholarship has left vast resources for the continued exploration of Godly treasures for generations to come. Yet, while recognized and referenced by many scholars, the full measure of Bullinger’s contribution to Christianity remains unknown or undervalued by most. Born in Canterbury, Kent, England in 1837, E. W. Bullinger, descendent of noted Swiss reformer Heinrich Bullinger, lived through an era that witnessed a burgeoning age of skepticism. The battle between so-called science and religion exploded onto the landscape of learning with the publication of Charles Darwin’s, On the Origin of Species. 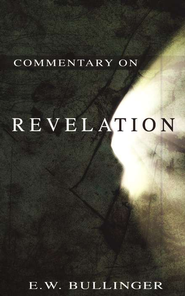 The impact of this iconoclastic belief alongside other growing unrest and controversies within the church at large introduced an atmosphere of uncertainty concerning the very foundation of Christian beliefs. A repudiation of the accuracy, authority, and even Divine inspiration of the Holy Bible spread over Christendom. Those attitudes, embodied in the field of “higher criticism” ascended to a position of dominance in universities and seminaries throughout the world. The publication of the lexicon and concordance, a landmark achievement in its own right, also marked the commencement of the work for which Bullinger would be best remembered in years to come. Thereafter, and with increasing frequency, he wrote small books and large books–books, pamphlets, poetry, and hymns–until his death thirty-six years later. The underlying principle of his later works was the same as that stated in the preface of the Lexicon and Concordance: to open the Bible so that all could study it for themselves. A total of 171 published works have been verifiably attributed to Dr. Bullinger, including twenty books and twenty-seven pamphlets. His major works: A Critical Lexicon and Concordance to the English and Greek New Testament; Figures of Speech Used in the Bible; and The Companion Bible are exhaustive reference works indispensably utilized in Biblical research. The widely acclaimed Figures of Speech Used in the Bible was originally introduced as ten separate parts in Bullinger’s monthly research journal, Things to Come; and in its entirety, it consists of over 1,000 pages. 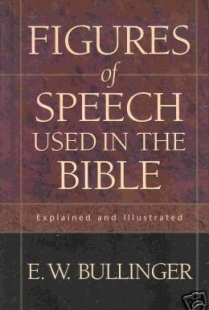 The complete volume published in the year of 1899 remains to this day a matchless research work identifying and classifying over 200 separate figures of speech used in the Bible. 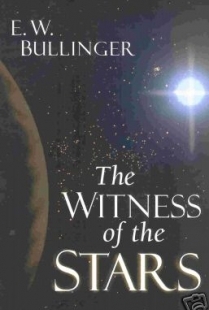 Many of Bullinger’s other books are also unique in their field, such as The Witness of the Stars and Numbers in Scripture. The majority of mankind think that they think; they acquiesce, and suppose that they argue; they flatter themselves that they are holding their own, when they have actually grown up to manhood, with scarcely a conviction that they can call their own. So it always was, and so it will ever be. The Divine things of the Word are no exception but rather an instance. The more difficult the subject, and the more serious the consequence of error, the more averse the majority are toward what is called “unsettling men’s minds”; as if truth could be held on any other tenure than the knight’s fee of holding its own against all comers…. But our object is to “Open the Book”; to let it speak; to hear its voice; to study it from within itself; and have regard to other objects and subjects, only from what it teaches about them…. Like Ezra of old, our desire is to “OPEN THE BOOK” and let it speak for itself, with the full conviction that if this can be done it can speak more loudly, and more effectively for itself, that any man can speak on its behalf. It was not for the critic or the skeptic that Bullinger wrote; it was not the praise or approbation of men that was the aim of his research. As the Scripture found on his tombstone attests to, his purpose was to: “Study to show thyself approved unto God, a workman that needed not to be ashamed, rightly dividing the Word of truth.” (II Timothy 2:15). For over forty years, until his death on June 6, 1913, Dr. Bullinger faithfully carried out that command. 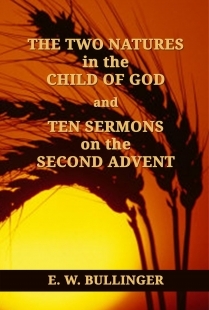 Nearly 100 years later, his books continue to illuminate the Scriptures, and delight and aid the readers. The legacy of Bullinger’s life extends beyond his published works, though. Throughout his life, E. W. Bullinger did not seek to simply inform students of certain truths; nor did he desire that anyone would accept and believe a point simply because he taught it. Rather, he instructed students in the method of Biblical interpretation that would enable them also to let the Bible speak for itself; and in so doing, they too were equipped to stand approved before God as workmen of His Word. As one who builds a bridge for the benefit of those who shall come after him, E. W. Bullinger looked to the day when others might surpass the reaches of his own journey. None are more cognizant of imperfection and failure than ourselves; and, after all we have done, there is still much left for others to do. We do not exhaust the book; and may, after all, have only laid out a road on which others may follow with far greater success. We claim only one thing–an earnest desire to believe God; and to receive what He has said, regardless alike of the praise a man or the fear of man; and quite apart from all traditional beliefs or interpretations. He died in London on June 6, 1913. Most people remember him only for his beautiful tune for Frances Ridley Havergal’s hymn, “I am trusting Thee, Lord Jesus.” Serious students of the Bible remember him as one who dared to search into God’s truth and follow it wherever it led him. We may not agree with all that Dr. Bullinger has written, but we must confess that he stimulates us to give our very best to the study of the Word of God. Many such serious students in the latter part of the 20th century were introduced to E. W. Bullinger by another great workman of God’s Word, Victor Paul Wierwille. Dr. Bullinger revealed remarkable Biblical truths through his utilization of certain keys or principles of Biblical research. He also widely promoted that same method of learning. Bullinger believed that just as different scientists would independently arrive at the identical result if they employed the same methodology, any two Biblical scholars would arrive at the same conclusion regarding a passage of Scripture if they employed the same principles of Biblical research. This was demonstrated in the life of Dr. Victor Paul Wierwille. Having devoted his life to the study of God’s Word, Wierwille reached many of the same conclusions Bullinger had arrived at nearly a century earlier, although initially unfamiliar with Bullinger’s work. In fact, it was only as he began to share his findings in his classes that one enthusiastic student, Dr. E. E. Higgins, introduced Wierwille to Bullinger’s writings. 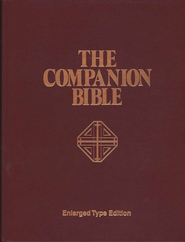 V. P. Wierwille thrilled at such books as Figures of Speech; The Companion Bible; and How to Enjoy the Bible, and he subsequently incorporated much of the material into his classes. As a result of V. P. Wierwille’s promotion of Bullinger’s books, tens of thousands of his students were introduced to his work, which greatly contributed to a renewed interest in E. W. Bullinger in the late 20th century. In fact, the biographical information known and often quoted about Ethelbert William Bullinger is drawn from the well researched biography written by Juanita S. Carey, herself a student of Dr. Wierwille. 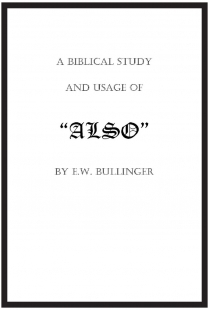 While Bullinger’s noted works were frequent resources utilized and promoted by Dr. Wierwille, perhaps the greatest legacy of E. W. Bullinger may be illustrated in another aspect of Wierwille’s ministry. 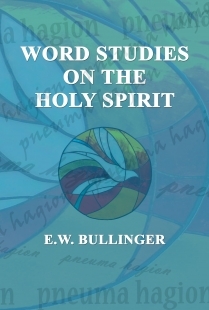 Against the skepticism of his day, against the widespread abandonment of the authority of the the Scriptures, E. W. Bullinger championed the Divine inspiration of the Bible. He heralded the call to Christians far and wide to return to that touchstone for truth, and he proved through the internal evidence of the Scriptures the inerrant accuracy of God’s Word. In like manner, Dr. V. P. Wierwille through his own noted works, such as Are the Dead Alive Now? ; Jesus Christ Our Promised Seed; and Jesus Christ Our Passover exhibited the “great spoils” awaiting those who were willing to seek for hid treasures. 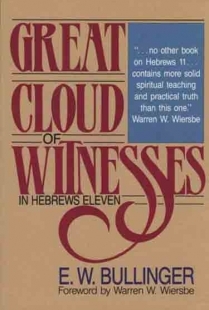 Moreover, Wierwille also set before people the great keys to the Word of God’s interpretation, so that they also could thrill to God’s most wondrous work and join the ranks of men and women approved before God. 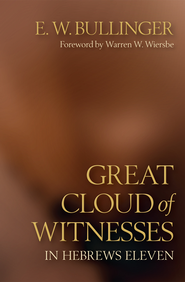 Today, E. W. Bullinger’s works remain among the greatest resources in that quest for truth. Truly we have been eternally blessed by the lives of such great men! God bless you and greetings in the name of Jesus Christ. 1. 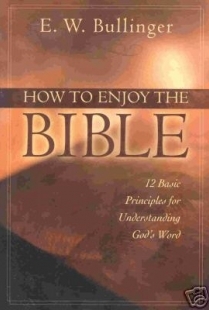 To enable individuals who are searching the Internet for Biblical Truths access to information about these books, the author and additional helpful publications. 2. To help the reader find these publications at the best price. 3. 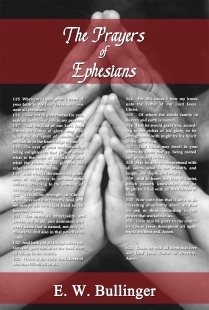 To allow individuals who have been touched in a Godly way by these publications to write a review and share with other potential readers their reading experience. Therefore, thank you for your consideration to write a review for this book. Please place a star rating based upon your reading experience. 1 star is low impact and 5 stars means highly recommend. Who can write a customer review? Anyone who has read the book they are reviewing. Include the "why": The best reviews include not only whether you liked or disliked a book, but also why. Feel free to talk about related books and how this item compares to them. Be specific: Your review should focus on specifics of the books if possible, within the character limits. Not too short, not too long: The ideal length is 75 to 350 words. Be sincere: We welcome your honest opinion about the publication--positive or negative. We do not remove reviews because they are critical. We believe all helpful information can inform other readers and help them decide on whether to read the book or not. Customer reviews should be relevant to the publication in question.